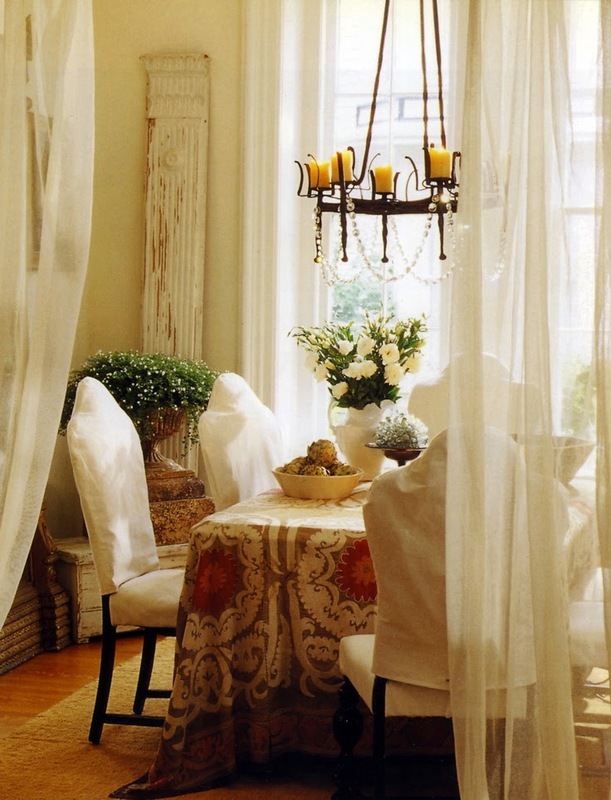 This image says it all....a pretty Suzani displayed in an elegant setting. While I love the bold beauty of Suzani's, I like them more when it is used to add a dash of color to a neutral palette. Somehow, the beauty of the fabric gets lots when it is paired up with too many patterns. In my opinion beautiful things need to be artfully displayed and given its due! What about you? Do you like multiple patterns and an array of colors or are you drawn to a more subtle palette?